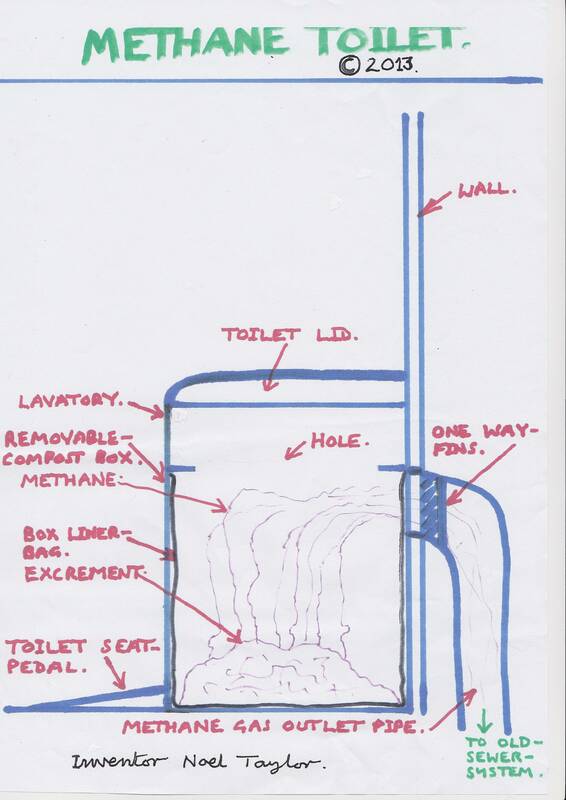 The ‘Waterless Methane Toilet’ is a water less vacuum lavatory which can use present pipe work or an air duct built into the brickwork or made from plastic or similar going down to the current waterless sewage system apart from drainage. 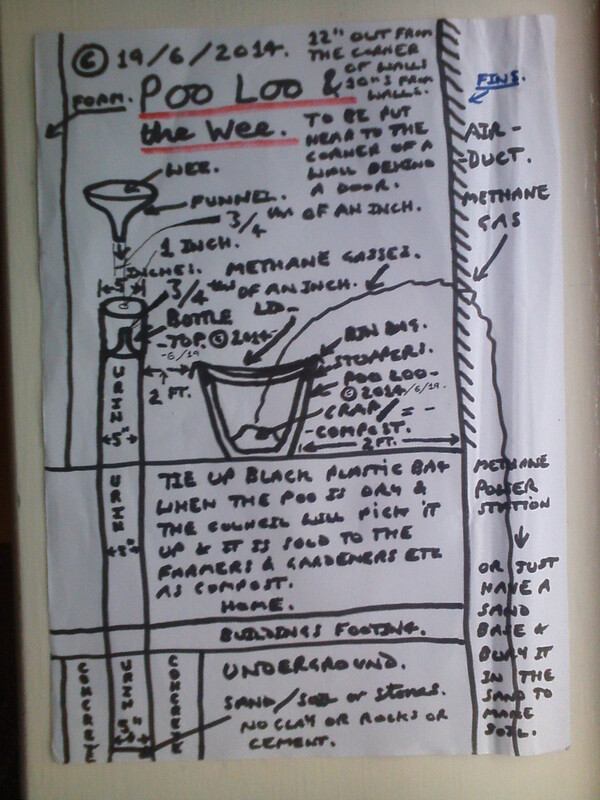 The methane gasses are sucked & go to a constant suction power station which collates the methane gas from human waste. The solids are collected into an airtight disposable plastic box at the bottom of the lavatory & emptied on a regular basis and used for compost etc. 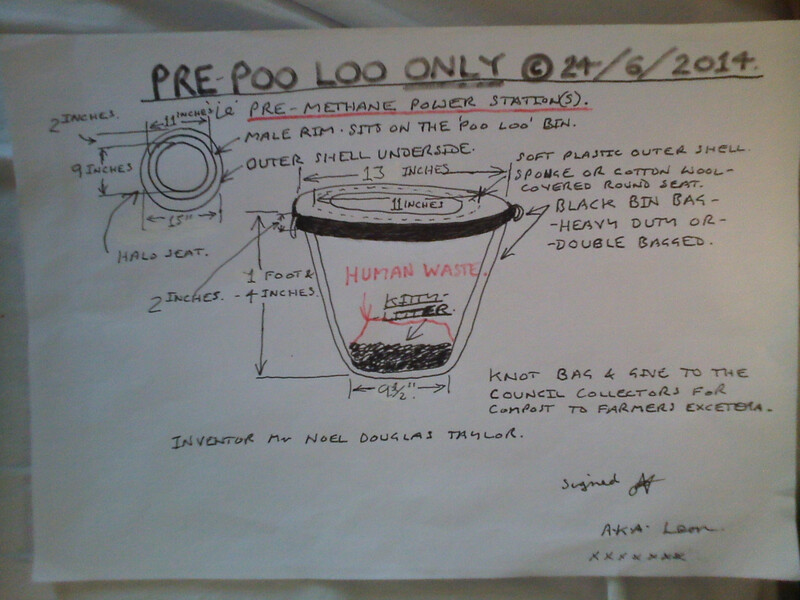 The top half of the toilet has a lid, activated by a floor pad 20 X 10 X 1 inches. 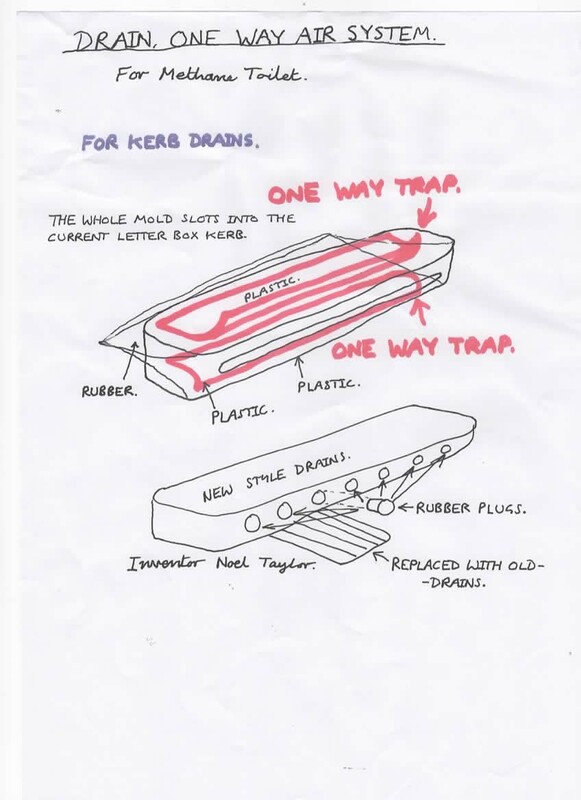 Working on the same principal as a pedal bin mechanism. The urine would be in a separate toilet going down a tube into the soil. A one way bin would be used for discarded toilet tissue & sanitary products. Stench pipes would be sealed off & manhole covers will need to be air tight. Critically there would have to be 2 totally independent power station suction motors and essentially an automatic explosion cut off to the system. 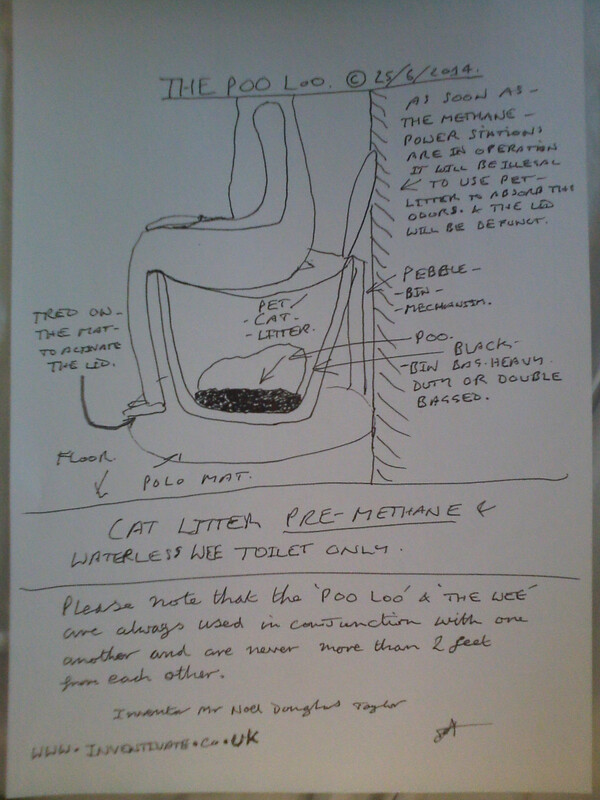 There will be one way fins to stop a back flow of methane gas in the unlikely event of a power station dual suction breakdown at the top of the toilet wall. On new buildings there will be an upwards duct first with fins at the top also, to prevent sabotage. Under the drain cover there would be a water hold to keep the sewage system air tight. With a float ball gauge to be checked by council workers on a regular basis and topped up when needed. Manhole covers would be welded up. 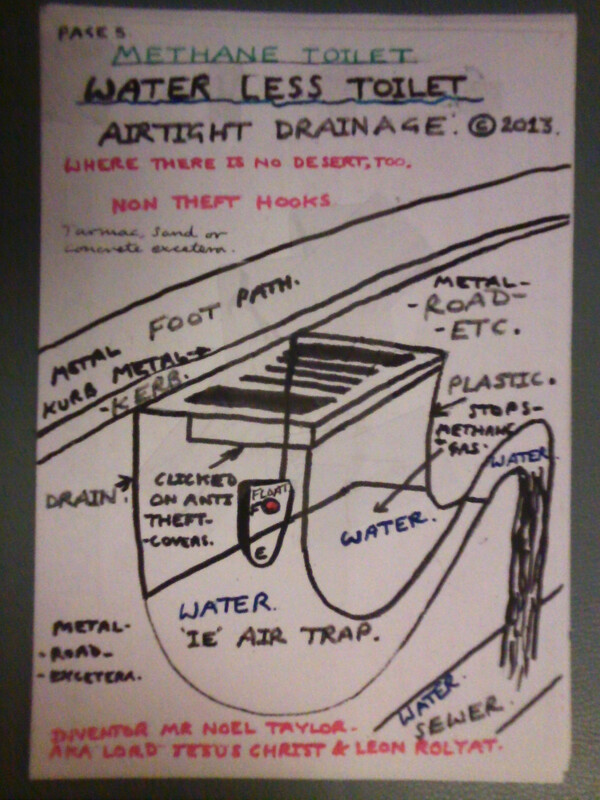 For smaller drain covers a litmus paper reactive dipstick would be needed.